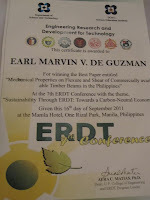 DLSU alumnus (BSCE 2002, MSCE 2009), Engr. 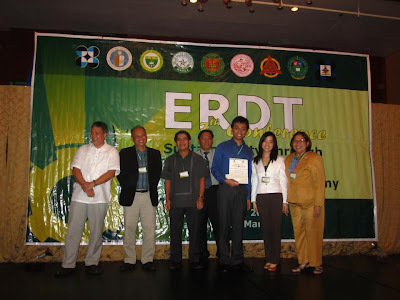 Alden Paul Balili is now a full time assistant professor under the Structural Engineering (STE) Division of the Civil Engineering Deaprtment. Balili was awarded an Outstanding MSCE Thesis for his research on optimal design of RC frames using genetic algorithms. 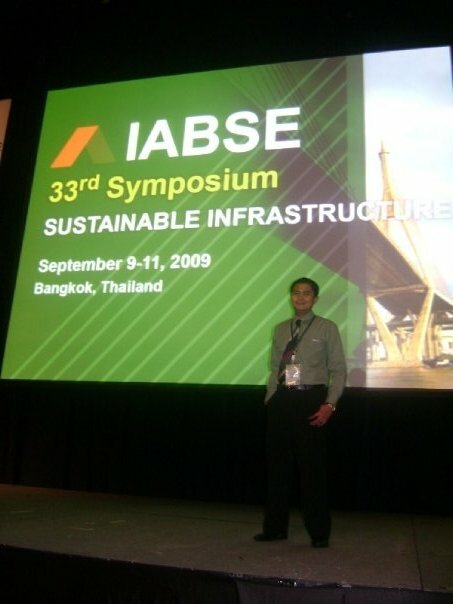 Before teaching at DLSU as a part-time faculty in 2010, he worked for seven years in various structural design projects at Parsons Brinckerhoff. Balili is a member of the Association of Structural Engineers of the Philippines (ASEP), International Association of Bridge and Structural Engineering (IABSE) and Philippine Institute of Civil Engineers (PICE). 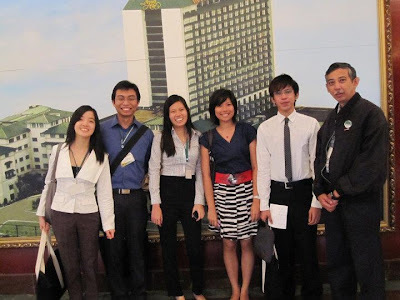 His research area is on applications of software and computing technology in structural and earthquake engineering. 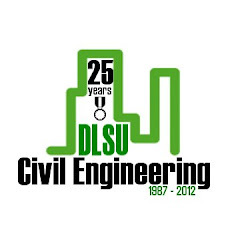 Balili is tasked to teach engineering mechanics subjects, mechanics of deformable bodies, civil engineering computer methods, computer-aided structural analysis, structural design subjects and specialized structural engineering courses like bridge design and structural design of buildings. 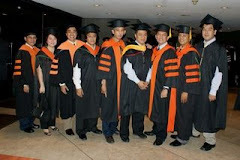 He also teaches graduate courses on finite element analysis and advanced structural analysis. 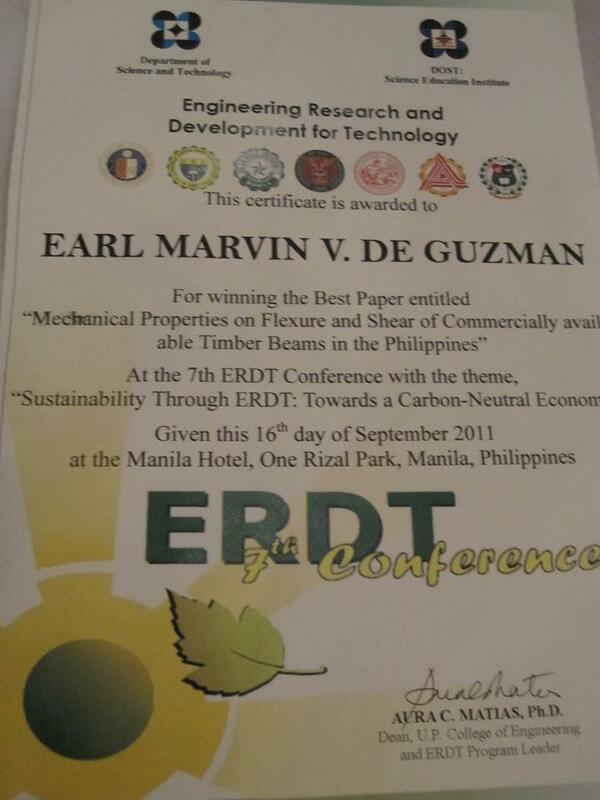 The paper based on the undergraduate thesis, "Mechanical Properties on Flexure and Shear of Comercially Available Timber Beams in the Philippines" by Earl Marvin De Guzman, Michael Stephen Go and Katrina Tengki with Andres Oreta as adviser was awarded as the best paper in the environment and infrastructure track at the 7th ERDT Conference held at the Manila Hotel last Sept. 16, 2011. The paper was presented by Earl Marvin De Guzman with the collaboration of Katrina Tengki and Dr. Andres Oreta in the open forum. (view the abstract of the thesis). J.R. Dungca, L.T. Dychangco and J. I . Jao. The trip to Tokyo will not be complete without paying a visit to Mickey Mouse and Friends. It was Disney Sea day. 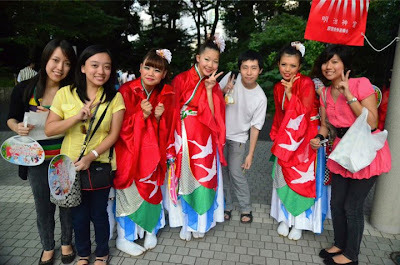 We had very high expectations but it was also the summer vacation of the Japanese students. That meant there were a lot of people visiting one of the best amusement parks in the world. There were great attractions but the ride itself only lasted to a maximum of a minute as compared to a two to three-hours waiting time. It was just bad timing. We weren’t able to maximize our time here. 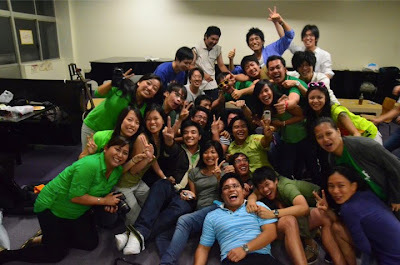 But nevertheless, we enjoyed the company and bonding time with our Japanese friends. Then we also went to Odaiba where we were able to witness their man made sea in which according to the Japanese people required a lot of embanking and filling material. And the Toyota Showroom located here also featured hybrid Toyota cars. 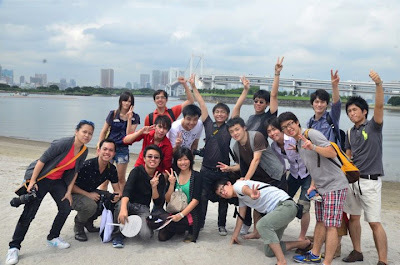 Some of us the DLSU students also tried the Japanese hot spring (onsen) in Odaiba with the Japanese friends. 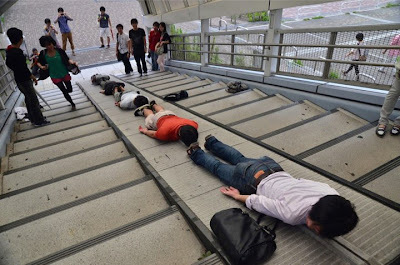 Planking invades Japan! Some of our Japanese friends did planking and they were really into it. We also went to Tokyo's Metropolitan Office/Building. We went up in the observatory at the 45th floor to appreciate the view and see the whole of Tokyo. We also went to Ueno and Okachimachi where we bought some chocolate souvenirs (Tiramisu flavored KitKat and different flavors of omochi). Akihabara. Japan’s Electric Town. A whole day is not enough to be able to go around this huge town so we had to go back here more than once. All those gadgets and electronics are tempting you to buy them at very reasonable prices and you just can’t get enough of Akihabara. During our Karaoke night, some of us were very tired and stayed at home. But some enjoyed the night in Oookayama and had fun Karaoke-ing with the Japanese students. It was an altogether unique Karaoke experience; nothing like the regular Karaoke places in our country. For our last day, we went to Asakusa Temple to buy ourselves souvenirs. For lunch, we went to Jiyugaoka where we ate at a Tempura house. There were also many shops in this area. Unfortunately, there wasn’t enough time to tour here. Time flies so fast. It seemed like yesterday it was just our welcoming party, and then it was the farewell party already? Well, all good things have their ends; including this Japan trip. Our Japanese friends prepared games, drinks, food, company and of course friendship. We are very appreciative of this. Aki, Pham, Sho, Satoshi, Shuuhei, Ryushi, Kazuki, Endo, Ryosuke, Yun, Kenji, Honda, Kim, Mynt, Yasu, Keita, and Nori. Tokyo, one of Japan’s and the world’s most populous metropolis. 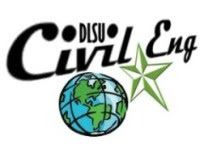 De La Salle University, together with Tokyo Institute of Technology, had been sending students from Manila to Tokyo and vice versa as part of their partnership in the socio-cultural student exchange program. 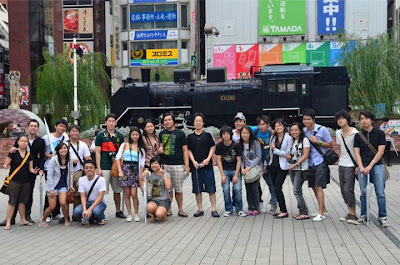 Last September 2010, some Tokyo Tech students came in the Philippines and as senior students that time, some of us was asked to help accommodate the Japanese students during their stay here. From their first day to their last day of stay here in the Philippines, we were with them. 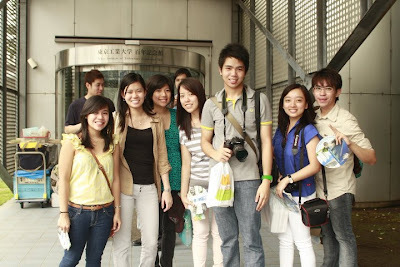 From their English classes in DLSU to their tours/trips and leisure times, we were together. 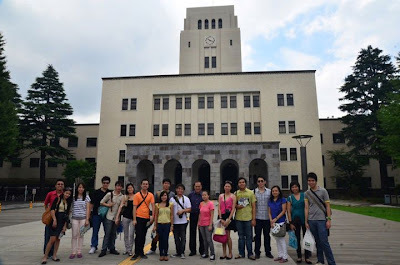 This built a strong bond of friendship between De La Salle University students and Tokyo Institute of Technology students despite the short time of knowing and accompanying each other. The most awaited Tokyo trip has finally come. 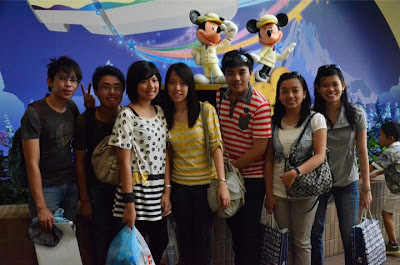 The trip was supposed to be last May 2011. However, due to unfortunate events, the trip was canceled until it was pushed through this August 25, 2011. We, composed of 17 engineering students from DLSU, arrived at Narita Airport at around seven (7) in the evening already and arrived at Weekly Mansion, where we stayed, at around ten (10) in the evening, so our stomachs were craving for some Japanese food already. We explored our hometown in Shinmaruko and after wandering around for a while, we ended up eating in an authentic Japanese Ramen Restaurant where the food is oishi (delicious) and the owners were very friendly to us. On our official first day in Tokyo after arriving late Thursday night, we had a campus tour at Tokyo Tech accompanied by some of our seniors who were also from De La Salle University and some of our Japanese friends from the batch last year who visited the Philippines. We also met Dr. Hirofumi Hinode who is our host from the Tokyo Institute of Technology. The whole day we toured their campus and went to see their Geotechnical Lab, Hydraulics Lab, Tsubame (The World's Fastest Super Computer), and other facilities. The Japanese hosts also gave us a welcome party with food and games. It was already late when we got home so we bought Takoyaki along the streets for our midnight snacks. The following days were very busy days - mostly walking and touring. One of the places we went to was Ginza Street. Ginza is a haven for high-end shops in Japan including but not limited to Rolex, Zara, H n M, UNIQLO, Geox, and many more. Twice in our stay in Japan, we ate in buffet restaurants. Both were priced at 1200 Yen and were good for exactly 1 hour. Not bad for the price, especially for the fast eaters. But, it is a must in Japan buffet restaurants to chew and swallow real fast. We also dined in a Japanese style and an Italian resto. We also went to the Ueno Museum of Natural Science. Their 360 degree Theater was exemplifying. We had mass at the Meguro Catholic Church where we saw many Filipinos. Next Stop was The Meji Shrine where a festival was being held when we arrived. Japanese people all around Japan gathered here to showcase their own respective dances. And yes, to make sure that we get to remember this event, we took the opportunity to take pictures with all of the Japanese dances we saw. There was a time when the group of dancers kept getting bigger and bigger in our picture takings to the extent that even some of the other foreigners took out their cams and had to capture this crazy but very awesome moment. Harajuku was the place next stop. It was the "Strange" Fashion District of Japan. We shopped here and also went to Shibuya, which is just nearby, where the statue of Hachiko is waiting for us. These two places are where Japanese youngsters usually hangout. Then for dinner in Shibuya, we divided into groups - since each group wanted to eat sushi, tempura, and Italian food. The tempura restaurant in Shibuya was exemplary. To end the night, we went to a bar in Shibuya. Kampai! At nights, we did not waste any second for idling. Instead, we played card games and bonding in Yukata outfits. There were nights when we also bought Japanese snacks in convenience stores like Lawson 100, Family Mart, and Tokyu Store to have a midnight snack party in our rooms. 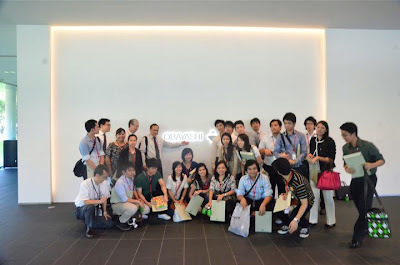 The most important part and major purpose of this trip, we had a company tour at Obayashi Corporation and they were very kind to accommodate us. They are one of the biggest civil engineering companies in Japan and they really invest in research and development. They schooled us how to use resources and how to follow the principle of sustainable development. Their Research Facility was built by using High Strength Concrete. Not Impressed? The strength of that concrete is 720 MPa. Civil Engineering Students, you get the idea of how impressive that is. They were using some kind of foam for their acoustics and sound proofing. They allowed us to hear what it felt like to be in a room in which all of the walls were fully installed with their foam technology. And it was great. There was ZERO echo. You couldn't hear anything from outside. Then the most amazing technology was the equipment they used to counter earthquakes. When the earthquake pushes the building to the left, their equipment then negates the seismic load by pushing back the building to the right as to have zero displacement. Obayashi Corporation rocks!